His parents lived on Ruth Street – not too far from Kensington and Allegheny avenues – through the early 1990s. He’s heard all about the tragic direction his old neighborhood has taken in recent years. Heck, his cousin was once married to the man inside the original Phanatic costume, so the ties run deep. This story isn’t about Carpenter’s local cred, though. 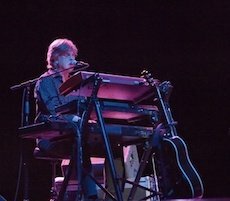 It – like most everything in Philadelphia since late September – is about Gritty because, since 1977, Carpenter has played keyboard and accordion, along with providing some vocals, for the Nitty Gritty Dirt Band. Considering the long-standing band contains the name of the new Flyers mascot, I felt it only right to reach out to Carpenter for his take on things. 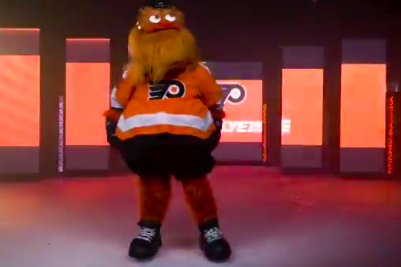 He was kind enough to call from Los Angeles on Monday afternoon to share his take on Gritty. A friend from Colorado had already sent him a photo. Those familial ties to former Phanatic David Raymond have led to the mascot introducing the band before a local gig. (Raymond was a consultant on the Gritty project.) Carpenter said he even threw out the first pitch before a Phillies spring-training game in Clearwater, Florida a few years back. “As far as the band goes, it’s funny that people are making a connection to Gritty at all,” shared Carpenter, who said the still-touring band gets back to the East Coast and Philly every once in a while. “There’s no ‘nitty,’ no, ‘dirt band,’ and there are a lot of products, like carpet cleaner, that use ‘nitty gritty,’" he continued. “Gritty looks pretty gritty to me. The Phillie Phanatic will always be No. 1. Mascots are always great; it’s the entertainment business and any chance to get closer to the fans, it’s a cool thing." Any parting message for the mascot and the team?